Turkish National Youth Philharmonic - Scaffardi Artists Management AGENZIA DI MANAGEMENT ARTISTI, ORGANIZZAZIONE E GESTIONE EVENTI. The Turkish National Youth Philharmonic Orchestra is the first national project of its kind in the country, founded by Cem Mansur in 2007. The 100 members aged between 16 and 22 are chosen by audition from all of Turkey’s conservatoires. A three-week period of preparation each summer when the various sections of players are coached by the best tutors and conductor Cem Mansur to reach the highest international standards, is followed by a series of concerts in Turkey and abroad. The orchestra had the honour to appear with distinguished soloists since its first concert in 2007 with the great pianist Murray Perahia. Salvatore Accardo and Natalia Gutman are some of the artists to have performed with the orchestra in some of Europe’s most prestigious festivals and concert seasons. 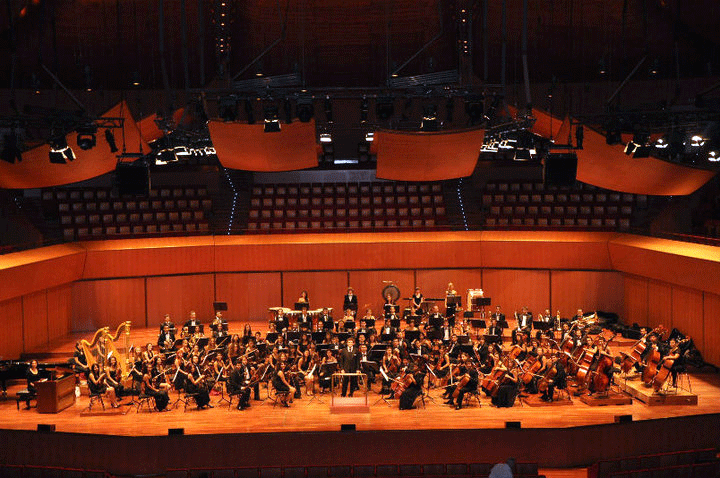 August 2008 saw the Turkish National Youth Orchestra undertake its first tour abroad when audiences in Germany witnessed not only the virtuosity of these young musicians but also their infectious energy. One added bonus of this successful tour was the Composers’ Prize of the “Young Euro-Classic” festival won by Ahmet Altınel’s “Les Sources de la Nuit”, which the orchestra premiered at Berlin’s Konzerthaus. 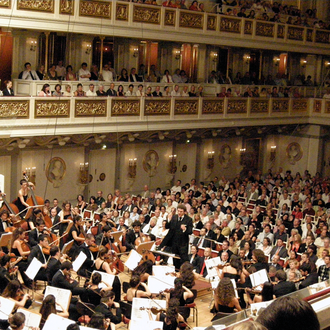 The orchestra was back in Berlin in 2010 and also performed a successful concert at the Sala Santa Cecilia in Rome. The 2011 season saw the Turkish National Youth Philharmonic in some of Europe’s most important halls such as the Konzerthaus in Vienna, the Brucknerhaus in Linz (taking part in the prestigious Brucknerfest) the Essen Philharmonie and the Bayer Concerts in Leverkusen/Köln where the young orchestra had the honour to open the season. The orchestra’s concert at the “Festival of the Nations” in Bavaria, was the only one to be recorded and broadcast by Bayerischer Rundfunk. In April this year, the Chamber Orchestra of the Philharmonic had the honour to perform a concert in Amsterdam for H.M. Queen Beatrix and an invited audience, under the patronage of Turkish President A. Gül. 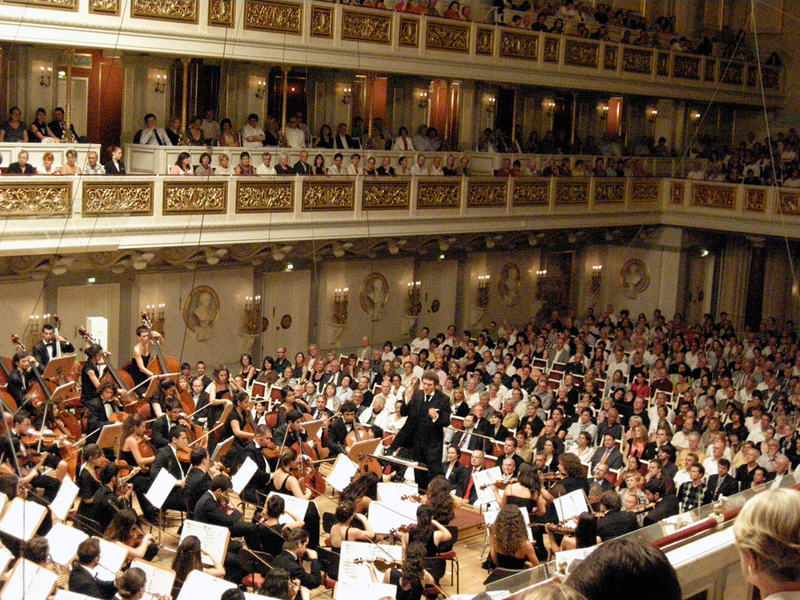 The orchestra was in residence at the Beethovenfest in Bonn for four days and for a concert in Brussels’ prestigious Bozar series in September 2012. This tour also included workshops, seminars and public rehearsals in Berlin and Bonn, aimed at cultural integration and recorded by Deutsche Welle Radio. Concerts in the Netherlands (The Hague & Amsterdam) marked 400 years of diplomatic relations with Turkey. Workshops and seminars about music as a social force have become an integral part of the orchestra’s work since 2008. Principal among these is the “Laboratory of Democracy”, where Cem Mansur guides the musicians and attending audience through a journey demonstrating the workings of an orchestra as the perfect metaphor for learning about co-existence, leadership, self-respect and responsibility. 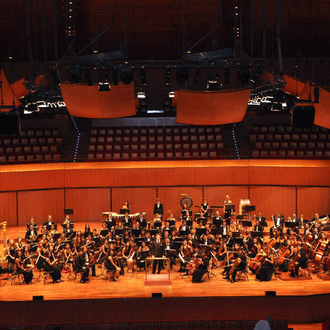 The summers of 2010 of 2012 also saw 35 members of the orchestra combine with a similar number of young musicians from Armenia to form the Turkish/Armenian Youth Orchestra, “Music That Unites” with concerts in Istanbul and Berlin. During summer 2013 the orchestra had a successful concerts tour in main Italian Festival like Taormina, Ravello, Florence, Padova, Verona, with the presence of the internationally recognised violinist Shlomo Mintz. Born in Istanbul, Cem Mansur studied music in London, graduating from the City University (1980) and the Guildhall School of Music and Drama (1981). He was awarded the Ricordi Prize and later studied with Leonard Bernstein at the Los Angeles Philharmonic Institute. As conductor of the Istanbul State Opera between 1981 and 1989, Mansur conducted a large operatic repertoire in addition to his concert work. He has since worked with orchestras and opera companies in Holland, France, Italy, The Czech Republic, Romania, Slovenia, Hungary, Mexico, Germany, Sweden and Russia where he has been a regular guest conductor with the Kirov Opera at the invitation of Valery Gergiev. Mansur's work has included further engagements with the English Chamber Orchestra, the Royal Philharmonic, the George Enescu Philharmonic of Bucharest, the National Theatre in Prague, London Mozart Players, City of London Sinfonia, Concerto Grosso Frankfurt and he has recorded with the Hungarian State Orchestra. 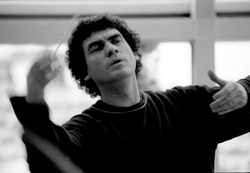 From 1981 to 1989 Cem Mansur worked at the State Opera in Istanbul before moving on to become conductor of the City of Oxford Orchestra. Since 1998 he has been Chief Conductor and Artistic Director of the Akbank Chamber Orchestra. 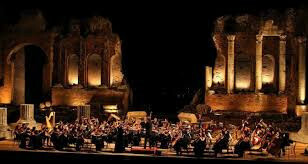 In addition, he directs an extremely high-quality music festival held in Istanbul’s most attractive historic venues. In 2009 Cem Mansur conducted the Helsinki Philharmonic Orchestra for the first European performance of Arvo Pärt’s Fourth Symphony. After this much acclaimed performance, the composer entrusted him with the world premiere of his work "Veni Creator" for choir and orchestra in Poland in May 2010. Cem Mansur is the Chief Conductor of the Turkish National Youth Philharmonic Orchestra, a young ensemble with more than 100 members.